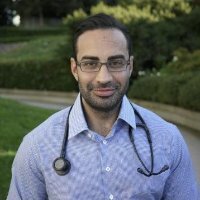 Dr. Ali Ghahary is a family physician currently practicing in Burnaby, British Columbia, Canada. Over the course of his career, Dr. Ghahary has become known as a trusted physician within the community and is well known for his excellent level of care and his compassionate manner. As a doctor serving in one of Burnaby’s busiest walk-in clinics, he takes his role very seriously and views it as a privilege to care for such a diverse group of patients. He has been blessed over the years to work with a variety of many talented professionals in his field, and has extensive experience working in a variety of clinic settings as well as large hospitals. At Brentwood Medical Clinic, few things bring Dr. Ghahary more satisfaction than spending as much time with patients and learning as much about them as possible in order to help their conditions. By the time his patients walk out the door, they have received the best available care. Dr. Ghahary treats everything from common symptoms such as colds and flu, to more complex health concerns such as unexplained pain and illnesses. He holds a Bachelor of Science and Doctor of Medicine from the University of Alberta, and an LMCC/CCFP in family medicine from McGill University. When he’s not in the office or with patients, he enjoys producing music, staying fit, and paying it forward to numerous medical charities and organizations.